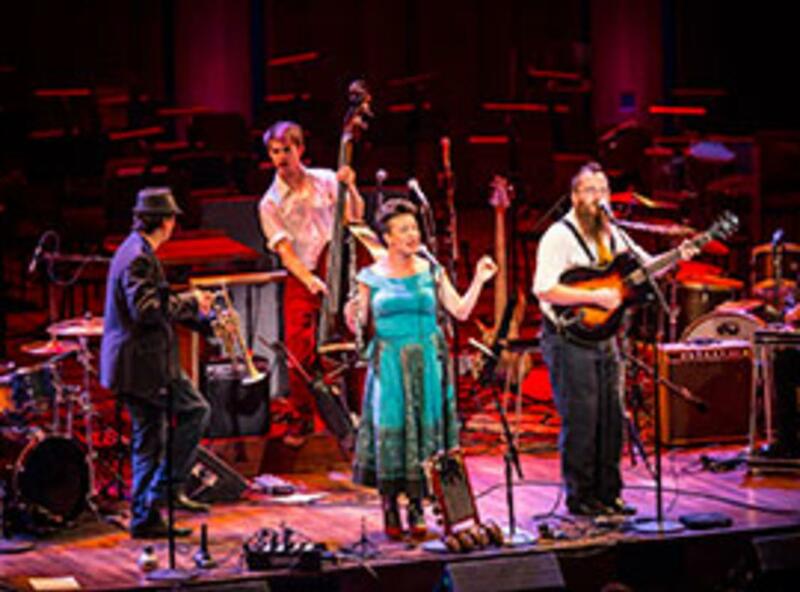 The Bumper Jacksons create a unique fusion of bluegrass and big-brass that’s all their own, inspired by early American traditions and interwoven with their original impulses. 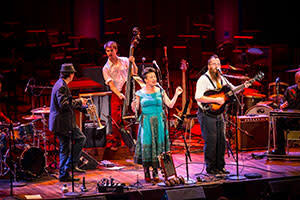 They paint the story of America from New Orleans jazz halls to Appalachian campfires featuring potent vocals by Jess Eliot Myhre, fiddle and banjo mastery by Chris Ousley, thumping bass by Alex Lacquement, percussive beats by Dan Samuels and Dave “Duckpin” Hadley, and brass vigor by Joseph Brotherton. These rising stars have established themselves in the D.C. area music scene and beyond, racking up numerous honors including Washington Area Music Awards Artist of the Year (2016), Best Folk Album, Best Folk Group and others. “If you like groups such as Dan Hicks and His Hot Licks, Asleep at the Wheel and Squirrel Nut Zippers, you’d be wise to check out Bumper Jacksons” (No Depression Magazine).